DEC 26, 2012::: WE HAVE BEEN GIVEN A BRIEF RESPITE, A PAUSE IN THE APOCALYPSE, FOR YOU TO DEVELOP A HOLY WALK WITH GOD AND BE "ACCOUNTED WORTHY" TO BE TAKEN IN THE FIRST OF TWO RAPTURES... MAKE THIS MOST OF THIS TIME-BORROWED, OF THIS GIFT FROM GOD. (LU:21:34-36 = MT:24:40-44 = REV:3:10). On this site we have we had a functional Doomsday Clock that is counting down to DEC 21 2012, the ancient Mayan Year for Doomsday. I believe there is a 99,9999 percent chance that before DEC 21 2012 AD, war will explode across The Mideast, starting with Israel, there will be global economic and social collapse, The First of Two Raptures will happen and Antichrist will declare himself on the world scene as world teacher and savior of all religions, faiths and creeds. AS YOU READ THIS PAGE YOU WILL UNDERSTAND WHY I BELIEVE AS I DO. (Pastor Harry/Church of Philadelphia-Internet). ISRAEL BELIEVES THEY MUST STOP IRAN'S NUCLEAR PROGRAM BEFORE 2010 (REVISED: MARCH 2013) OR IRAN WILL HAVE A NUCLEAR WEAPON AND DESTROY THEM. SO IT IS NOT A QUESTION OF "IF" ISRAEL WILL HIT IRAN BY "WHEN?" PRES OBAMA BELIEVES HIS AGGRESSIVE DIPLOMACY WILL STOP IRAN'S NUCLEAR PROGRAM BUT ISRAEL DOESN'T BELIEVE THIS AND WILL NOT WAIT MUCH PAST OCT 2010. THE BIBLE CODE SEEMS TO SAY AN EARTHQUAKE WILL HIT IRAN AND TEMPORARILY SUSPEND THEIR NUCLEAR PROGRAM. 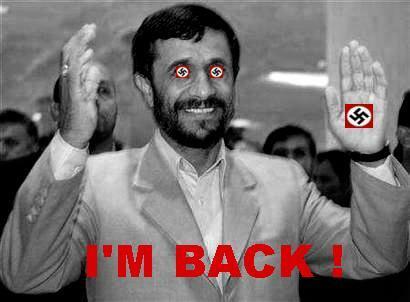 BUT IRAN WILL RESTART THEIR NUCLEAR TERROR AGAIN IN THE SPRING 2010 AND ISRAEL WILL LAUNCH A MASSIVE ATTACK. An ISRAELI attack on Iran will trigger W.W.III in the mideast, leading to global terrorism, the collapse of the USA Economy and world wide CHAOS- setting the stage for the Biblical Apocalypse and the Coming of Antichrist (666). Jesus gave us Bible Prophecy so we will be prepared (not afraid) of what is to come. If we were not given Bible Prophecy, we would literally be in the dark and fear would take over. Will the next Asteroid impact earth, will nuclear war destroy all life? (see what I mean?) 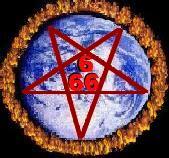 Bible Prophecy tells us exactly what will soon happen and again, how to ESCAPE 666, IN THE FIRST OF TWO RAPTURES. Important note: We are living in The Biblical "End Times" and we are The Final Generation that the Bible warns of, The Generation that will see The Biblical Apocalypse. It is true that Jesus taught, "No man knows the day or hour" when The Tribulation will start (Matt:24:36). However, Jesus also gave us the "signs and times" to watch for and He actually sets a Time Frame for us that serves as a Prophetic Window. On this site you see a Functional Doomsday Clock that is counting down to DEC 21 2012 AD. This is the date when the 5000 year old, Mayan Calender ends. As you will see, I believe there is a 99.999 percent chance that this represents the true countdown to The Biblical Apocalypse, the Great Tribulation. HERE ARE SIX REASONS WHY I BELIEVE THE BIBLICAL APOCALYPSE WILL START ON OR BEFORE, DEC 21 2012 AD. (we set our doomsday clock to end on DEC 22 2012 AD to accomodate all time zones). On DEC 21 2012 AD, a real event will take place, Galactic Alignment where as the earth and sun moves into perfect alignment with the center of the milky way galaxy. On this day the earth also completes a near 26,000 year progression (wobble on its axis). Here is why this alignment on DEC 21 2012 AD has the potential for disaster, for "doomsday". Back in 1994, Scientists proved that the center of our Milkyway Galaxy is a massive Black Hole. (this is the case with almost all galaxies observed). A black hole is the most powerful force in our universe due to its super gravitional affect. This black hole (milky way) is approx 40 million times larger than the sun and its gravitational force is what keeps our galaxy in motion, turning like a giant disc around the center. On DEC 21 2012 AD, when the sun and earth aligns with the center of our galaxy (black hole), it will open a momentary window (as solar eclipse begins) and the sun will by HIT by a gravitational blast from the black hole. This will cause the SUN that is really a ball of fire to "burst", (intensify) like throwing a gasoline bomb on a fire. The result will be EARTH will be hit by a MAXIMUM SOLAR BLAST FROM THE SUN AS EARTH WILL BE IN PERFECT ALIGNMENT. This solar blast (of solar energy) could disrupt and knock out communications satellites and all telephones, GPS, internet and cable TV will go out. Also power grids around the world will shut down which will spell DISASTER for USA and the west as this will happen DEC 21 2012 = dead cold of winter. This is the least case scenario. Many scientists theorize this Maximum Solar Burst hitting Earth on DEC 21 2012 AD could trigger POLAR SHIFT where as the earth slowly turns on its axis, until the north pole becomes the south pole. If this shift happens, every active volcano and earthquake will be triggered on earth = the end of civilization as we know it. BIBLE CODE: The Bible Code shows 2012 encoded with comet and The Abomination of Desolation (also encoded December and 21). According to The Bible, The Abomination of Desolation happens 3.5 years into The Tribulation, when Antichrist breaks his peace treaty with Israel and invades Jerusalem and the Holy Temple. If this event (Abomination of Desolation) does happen on DEC 21 2012 AD, we can count back 3.5 years and the tribulation will start, JUNE 21 2009 AD when Antichrist first signs his peace treaty with Israel. (THE BIBLE ALSO WARNS THAT GREAT DESTRUCTION WILL COME UPON EARTH FOLLOWING THE ABOMINATION OF DESOLATION IN JERSUSALEM). UPDATE: 21 DEC 2007: Scientists say an Asteroid may impact the planet Mars in JAN 2008. This asteroid instead made a near pass of earth. The Comet Planet is believed to come thru the Asteroid Belt on its near pass of earth. Is this asteroid threat to Mars a SIGN that the Comet Planet is coming towards earth for 2012 AD? In recent years, NASA confirms the existance of a massive, Comet Planet that is said to pass earth every 3600 years (some believe it passes every 10,500 years). 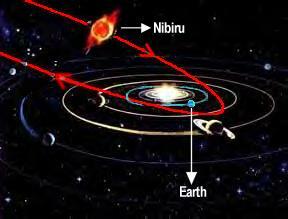 It is possible this Comet Planet (NIBIRU) will near pass earth DEC 21 2012 and be the trigger for the Cataclysmic Events that we read of in Revelation and Matt:24. GALACTIC ALIGNMENT COULD SEND THIS COMET OFF COURSE AND ON A COLLISION COURSE WITH EARTH? The close passing of Earth by a massive Comet Planet (almost as large as Jupiter) would place a powerful gravitational pull upon earth and could cause POLAR SHIFT. The earth could flip on its axis and cause 1000 ft high tidal waves, 300 m.p.h. winds and trigger every earthquake and volcano on earth to erupt. It is possible that eons ago, this Comet-Planet near passed earth and caused POLAR SHIFT and The Great Flood of Noah's day. Again, this also sounds like the cataclysmic Judgment we read in Revelation (16) and Isaiah (24) that shall come upon the world that will follow Antichrist and murder for his father, Satan. Once again, POLAR SHIFT could also start on DEC 21 2012 AD, triggered by the Galactic Alignment of The Sun and the center of the Milky Way Galaxy (and not the comet planet). Once again, The Doomsday Clock is based upon the ancient Mayan Calendar of 5000 years, ending on DEC 21 2012 AD. Many Scholars believe this is the date for the "end of the world" as we know it or the coming of a Great Savior, "Quezecoatal" (in his spaceship of a million years). I believe it represents both. This "Savior" (MAITREYA-QUEZECOATAL) will place two paths before Humanity. He will claim if the world follows his "divine plan", there will be an age of peace, harmony and enlightenment that lasts thousands of years. And if the world rejects him, war, doom and total destruction. Bible Prophecy is driven by human free will and the evil path that nations choose. Free will can accelerate us or slow us down to the inevitable: The Apocalypse, The Great Tribulation, the "Time of Testing". 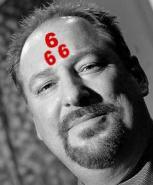 As of AUG 2006 we see a dramatic increase in evil. Radical Islam has started their "Holy War" to (1) Destroy Israel, (2) build nuclear weapons to then destroy America and (3) to conquer and enslave Western Europe. MAY 2008: IRAN continues to enrich uranium (leading to nuclear weapons) in defiance of the International Community and The United Nations Deadline to stop. Iran threatened Israel, aiming missiles at 650 civilian and military targets if Israel or the USA attacks Iran's nuclear program. What is Israel to do, sit back and allow Iran to build a nuclear missile that Iran will use to vaporize her? 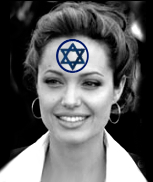 There is a Bible Code that predicts an EBOLA ATTACK- PHILADELPHIA- MAY 2008- IRAN BLAMED - BUSH TO WAR . If this code happens, this will trigger events leading to the Biblical Apocalypse. If this Bible Code does not happen, The Election of Hillary Clinton to the white house (NOV 2008) will INSURE the Biblical Apocalypse is triggered and here is why. NOTE: EARTHQUAKE IRAN: Apart from a major EARTHQUAKE that destroys Iran's underground nuclear program, Israel and The USA must launch a military attack to stop Iran. This Attack would happen between 2008-2011 AD and trigger the Biblical Apocalypse before 2012 AD. OBAMA in power will force ISRAEL to attack Iran's nuclear weapons program (2009-2010 AD) triggering waves of terror attacks against USA and the west, the collapse of the USA stock market- leading to the FIRST OF TWO RAPTURES and the Start of The Tribulation. Only a major EARTHQUAKE hitting Iran and destroying their nuclear program would stop Israel from attacking Iran's nuclear program (2009-2010 AD). 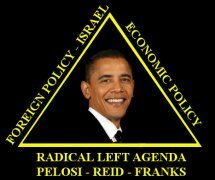 Israel will have no choice with OBAMA as President of The United States (with his Anti-Israel Agenda). If this major EARTHQUAKE does hit Iran, It will push the start of The Apocalypse closer to 2012 AD,THE MAYAN YEAR FOR DOOMSDAY AND THE COMING OF ANTICHRIST AS THE SAVIOR OF WORLD." It seems that Bible Prophecy and the Doomsday Clock is timed to stop the horror of Human Cloning on a mass scale, as an accessible technology. It is GOD who "made man in his own image and likeness" and this is the ancient barrier that mankind strives to break, creating man in in his own image and likeness." 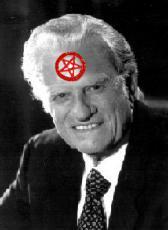 Antichrist (666) will declare himself onto the world scene as the "Savior" of all religions, faiths and creeds and accepted by Billy Graham, Rick Warren, The U.N., "Hollywood" and The Vatican. 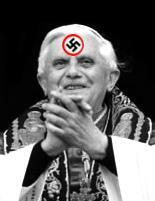 note: we know the name of Antichrist is MAITREYA, the coming, Warrior Buddha, whose number is 666 as his name calculates to six-hundred and sixty six (The Hebrew Code in Rev:13:18). 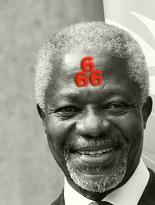 What is not clear is "what" the Mark of The Beast is? In the above celebrity collage, I believe I covered all of these future possibilities. As we see these "dark clouds" of World War III building, we are to use our time to make our walk with God "accounted worthy" to Escape what is to come in The First of Two Raptures. (Lu:21:34-36). THE CHOICE IS ALL OURS! 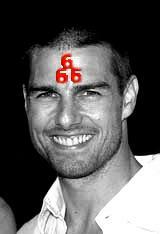 COPYRIGHT � 1997 - 2007 HARRY WALTHER & ESCAPE 666 BIBLE PROPHECY REVEALED, All Rights Reserved and COPYRIGHT � 2002-2007 HARRY WALTHER & SATANSRAPTURE.COM, All Rights Reserved.